The term posterior short gyrus refers to one of three short insular gyri identified by dissection in the human . It is separated from the middle short gyrus by the precentral insular sulcus and caudally from the anterior long gyrus by the central insular sulcus ( Ture-1999 ). The third short gyrus is the anterior short gyrus. 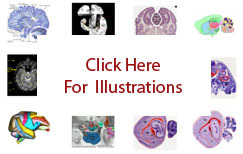 The insular gyri do not exist as topological fieatures in macaques or rodents ( NeuroNames ).